I want to thank everyone for the fun of the Midsummer Madness event last month. We are sending out orders daily and it is my delight to say that we now have nearly twenty customers who have accumulated the 9000 Reward Points needed for the free massive terrain set. Well done to those IonFans and now on to July and what this month has in store for The Ion Age. 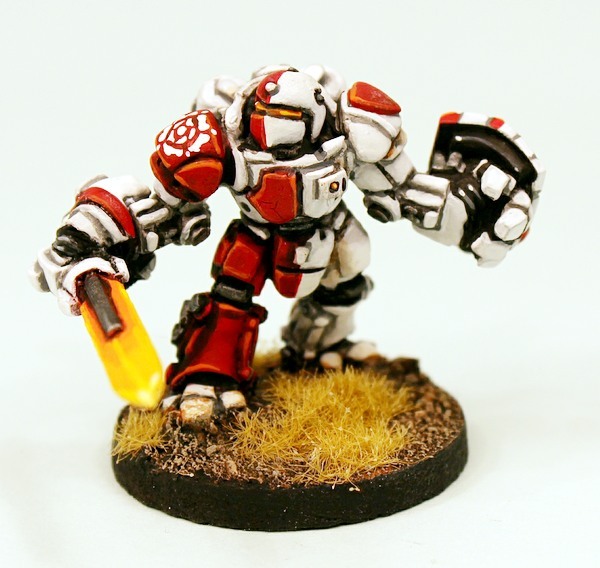 Our month long offer this time is...25% off all the variants of the fantastic Duxis Battlesuit in 15mm scale both close combat types HERE and ranged types HERE. Read on for more. Princess Cyon knows a lot of things. I mean a lot. It was lot before the Reord bonding and though it's even more now I can tell you that she came up with the Duxis MkI on her own. Technics, Fabrication and Structure too. All of it her idea. To make her point she wore the prototype upon entering the Adden chambers and it made her point just beautifully to the Council. We knew the Khanate had returned and we had the reports of the first contacts from Camarthen Prime but the Princess, she had her father's knowledge of the times of the first Khanate War. We confirmed it later but in those chambers and on that day Princess Cyon said one word as she strode towards us footfalls heavy. Encased in armour and over twelve feet tall she said 'Warlord' and then activated the holo emitters attached to the prototype's shell. I think there was not a knight or baron in the place who did not shrink a little in their seats. Out of thin air a monster appeared. Like a Man in shape but larger; far larger. She drew an energised blade longer than a Starvaulter is tall and conducted a mock melee with the projection...and she won. Hours of discourse followed and all the while Daphne Cyon stood in her prototype Duxis Battlesuit and held sway. The Warlords were more than a Retained Knight could cope with; so make a Retained Knight more than they already were. We did. Now in Camarthen space we meet those hulking monsters with metal of our own. Its a close fight but now its a fight we can and we will win! IAF030A Duxis MkIIIA ' Bladesman' with Cetra Shield Hand and Octan Prime Energy Blade. IAF030B Duxis MkIIIB 'Winnower' with Cetra Shield Hand and Trabs Energy Spear. IAF030C Duxis MkIIIC 'Brawler' with Left Gauntlet, Right Gauntlet and Heraldic Shield. IAF030D Duxis MkIIID 'Anti-Infantry' with one Gauntlet, Moth 88 Rotary Cannon and Heraldic Shield. IAF030E Duxis MkIIIE 'Pride Taker' with one Gauntlet, Valerin 15Mw Laser Cannon and Heraldic Shield. IAF030F Duxis MkIIIF 'Indirect Fire Support' with one Gauntlet, Bodkin 55mm AP Howitzer and Heraldic Shield. IAF030G Duxis MkIIIG 'Anti-Vehicle' with one Gauntlet, Fretan II Rail Gun and Heraldic Shield. IAF030H Duxis MkIIIH 'Warlord' with one Gauntlet, Angis 25mm AP Cannon and Heraldic Shield. See the Duxis variants HERE and HERE and use the drop down menu to select the variant you wish. Mastergunz paints the Duxis 'Winnower' Battlesuit! 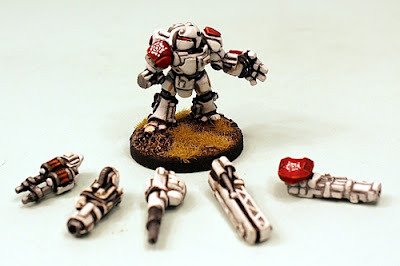 A great blog article with 'Mastergunz' as he give a professional and different paint job to a battlesuit. Check it out HERE. You can find the rules for 'Infantry Sized Vehicles' which covers Bikes, Battlesuits and Portable Weapons in the core game book IAB01 Patrol Angis and this includes the Duxis which is a key part of Retained Knights battle strategy. Go HERE for our 15mm Publications in print and as digital downloads. I wish to thank everyone who supported us last month with the three new Grey Adder 'Battle Taxi' vehicles we released. Wheeled, Lifter and our first Tracked Adder too (there will be more). See them HERE. 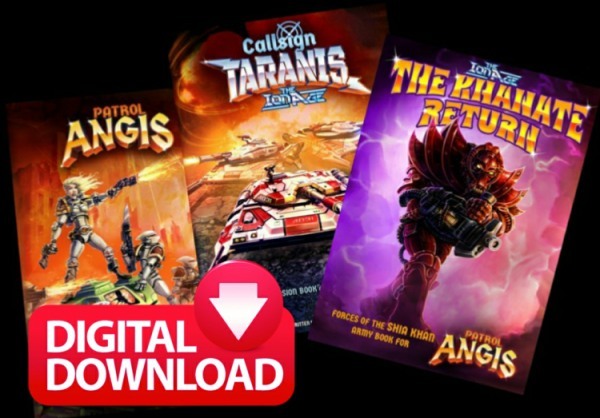 In July 2018 we will have one new release and a free Patrol Angis scenario as well as an article on the Duxis in Patrol Angis. 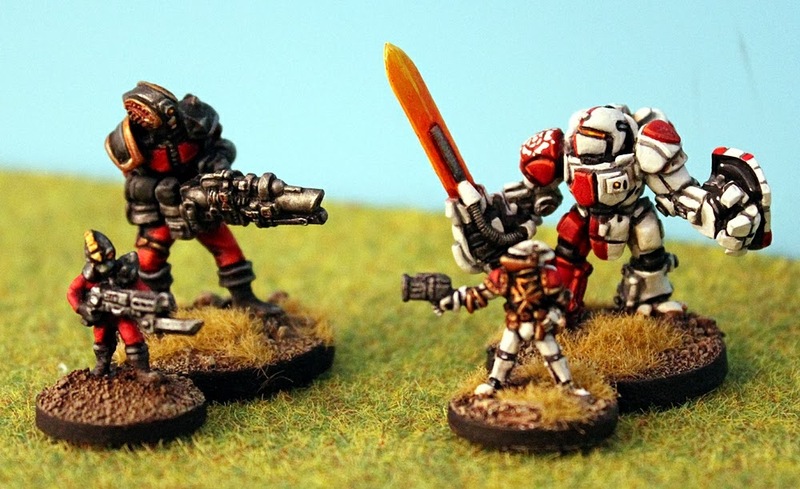 Both of these will focus on close combat and upon the powered armour professionals of the Prydian Precinct and follow up upon Patrol Angis players requests for more melee centric miniatures. Look for these in the middle and end of the month. As always if you have any requests for new miniatures or vehicles when by all means contact us on info@theionage.com we would love to hear from you. 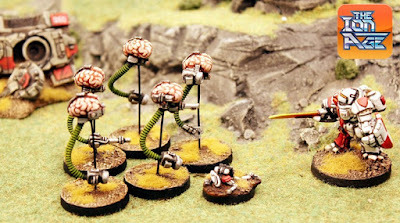 If you missed it then you missed a treat from Aris Kolehmainen at the end of last month with a free six page article for Playing the Craniad in Patrol Angis. If you want some floating brains on the table then this is for you. See it on our website HERE. Thank you as always for your support with our little space opera brand.